I crossed a goal off the list and got a t-shirt to prove it. I also got a hat and wore it but hats don’t suit me so I went with the headless look for this photo instead, for your benefit. You’re welcome. When the alarm started going off at 5:30AM and I moved in bed to reach for it and shut it up, the pain on my legs reminded me I had just run 32km the day before. Naturally, I questioned what the flying heck was I doing getting up at stupid o’clock again but then I remembered that, later in the day, I’d have an item ticked out of my list of goals for this year so that helped. This is why I disagree with people saying new year’s resolutions are useless. Call them resolutions, call them goals, call them Harry, call them whatever you want. If they motivate you to get out of bed (even though it’s early and you’re in pain), they’re a good thing. I had the chance to volunteer as a marshall on the run course of the Ironman 70.3 in Auckland and, with that, I knocked down one of my goals for this year. Standing around for that many hours wasn’t the ideal recovery strategy post-long run but seeing all those amazing people getting off the water and onto their bikes, cycling 90km and then running a half marathon like it was no big deal really did help put my pain into perspective. I recognised a few of the faces along the course and collected a bunch of cool little memories, like 76-year old Garth Barfoot looking strong and thanking me for telling him he did or the couple of guys that raised their hands for high fives and they went past me towards the finish line. And I’m not even ashamed to admit that the little kid shouting “daddy! Daddy! You’re an ironman!” as his dad ran past him brought tears to my eyes. It was amazing, those people are amazing. My lack of better adjectives is less than amazing. You mean machines. You make me want to go out for a run right now but my legs are all “uh, nope”. So I’ll stop here. The point is that I’m pretty stoked to cross this one off the list. Running about a dozen of events a year, it’s about time I start giving back to all those people that come along to help out with those. I’m looking for other events to volunteer for but it’s hard because, whenever I find one, I want to run it rather than help out (that didn’t make me sound very nice but there you have it). In any case, I’ve submitted my interest in volunteering for the Auckland marathon this year so I’m not putting this goal behind me completely. Either way, CHECK! 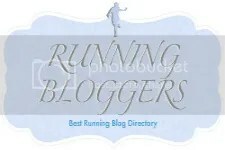 Categories: running | Tags: fitness, inspiration, ironman, marathon training, motivation, new year's resolutions, running, sports, volunteering | Permalink.